The NHS is changing the way your health records are stored. 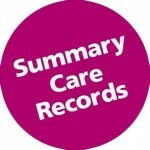 We are moving towards storing a Summary Care Record for each patient electronically on the N3, the NHS National Network. This will mean it is quicker to get important information to NHS healthcare staff treating you, including in an emergency. You need to let your GP practice know by filling in and returning an opt out form (PDF, 46.6Kb). If you choose not to have your Summary Care Record after we have made it, you need to tell your GP practice. We will make sure that healthcare staff who try to look at your Summary Care Record will not be able to. We will only make your record available again if whoever wants to see it asks in writing and an investigation has found it necessary, for example if there is a complaint.